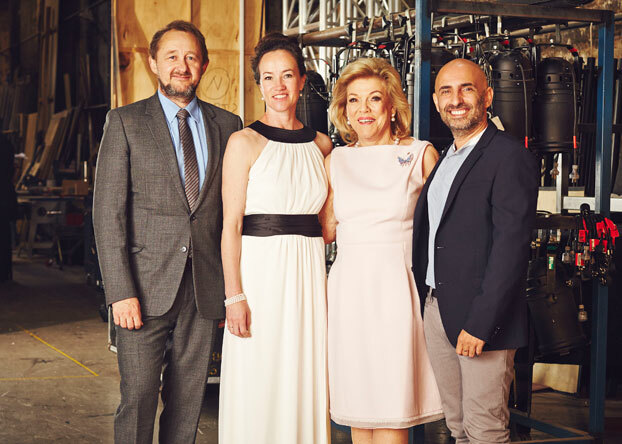 Pictured (left to right): Sydney Theatre Company's Artistic Director Andrew Upton, former Principal Dancer of The Australian Ballet Lucinda Dunn, Roslyn Packer AO and Sydney Dance Company's Artistic Director Rafael Bonachela. Photo by James Green. Today we celebrate one of Australia’s great philanthropists and supporters of the arts. 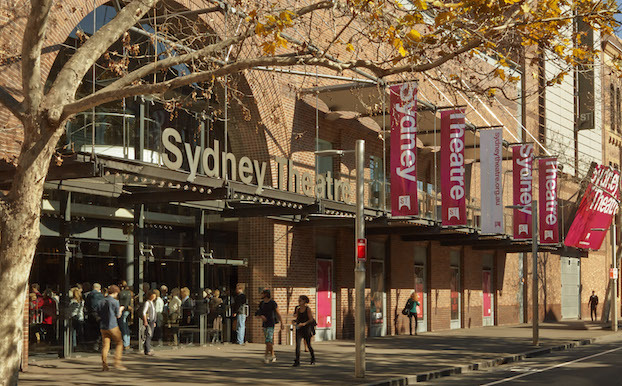 We are pleased to announce that one of our main venues, Sydney Theatre at Walsh Bay, is to be renamed Roslyn Packer Theatre Walsh Bay to honour Roslyn Packer AO’s generous support and commitment to the arts in Australia over the past 40 years. The name change will come into effect from March 2015. Sydney Theatre Company’s long relationship with Ros has become even closer in recent years, and she is now one of a core group of philanthropists whose support is integral to the work that we commission and produce, the development of artists, and our range of innovative education and community outreach programs. For decades, Ros’ generosity has extended across a huge amount of organisations and causes Australia-wide. Her extensive contributions were honoured in 2007, when she was awarded an Order of Australia medal for service to the community as a major supporter of and fundraiser for a broad range of arts, cultural, medical research and health care organisations. The list of the organisations to which she has given generously is a long one. In addition to her support of STC over many years, Ros is a supporter of the Art Gallery of New South Wales (Centenary Patron and Foundation Governor); the Hunter Valley Community Foundation (inaugural Patron); National Trust of Australia (NSW Life Member from 1964); Opera Australia (Patron Program and Benefactor Patron from 1992); Sydney Opera House (Chairman’s Leadership Circle 2008); Sculpture by the Sea; The Australian Ballet (member of the Les Etoiles Group from 2006); and the Venice Biennale (Champion Donor 2005 – 2009); and Governor Sir Roden and Lady Cutler Foundation. The renaming of Sydney Theatre as Roslyn Packer Theatre Walsh Bay is an acknowledgment and celebration of Ros’ wonderful commitment to the community and in particular her contribution to a vibrant cultural life for Sydneysiders, and the future of arts in Australia. Existing tickets to productions are not be affected by the name change. Tickets bearing the name Sydney Theatre will still be valid at the time of your performance. If you have further queries, please read our Q and A.